SONY SmartBand 2 launched with heart rate sensor, works with Android and iOS devices. Sony Mobile today launched SmartBand 2, a multi-sensor lifelogger that provides full-scale insights about your fitness, well-being and stress levels. The second generation SmartBand features an advanced heart rate sensor and will be available in Black and White at launch, and two additional vibrant colours shortly after - Pink and Indigo. As it retains the same compact "core" footprint as SmartBand, you can wear the technology with original first and third party bands for greater choice. 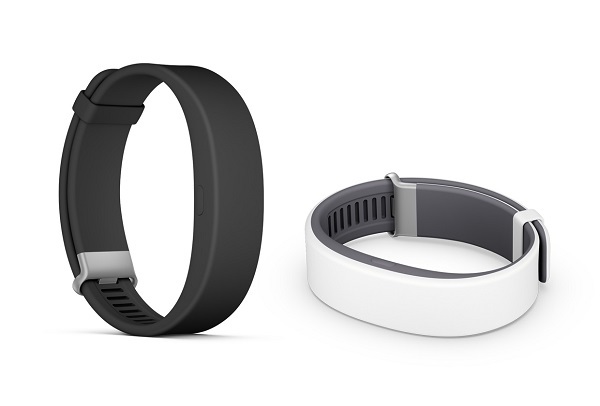 SmartBand 2 launches across 60 countries worldwide for around €119 (EUR) / $132 (USD), from September 2015. SmartBand 2 automatically tracks activities such as walking, running and other workouts whilst mapping your heart-rate alongside each activity. Sony's popular Lifelog app helps you keep track of progress, with fun comparative insights, giving you inspiring motivational prompts based on your activity. Inside the same SmartBand modular "core" form factor, SmartBand 2's accelerometer and heart rate sensors work together to monitor pulse and heart rate variability, allowing you to gauge overall fitness, excitement and stress levels throughout the day. You'll be able to enjoy a better night's rest, as SmartBand 2 provides sleep insights, with automatic sleep detection - and the smart alarm clock function will gently vibrate to wake you up at the best time based on your sleep cycle. You'll also never lose your Xperia smartphone or tablet as SmartBand 2 will vibrate to alert you when you're more than 10 meters from the connected device. And, SmartBand 2 reaches full battery capacity in around one hour, lasting up to 2 days. With durable silicone casing, up to 2 days battery life, and IP68 waterproofing - despite its cap-less microUSB - SmartBand 2 can be worn anywhere and everywhere. Designed at Sony's Creative Center sites in Sweden and Japan, SmartBand 2 has sleek, subtle looks with an all-new metal clip, so it can be easily and securely fastened.